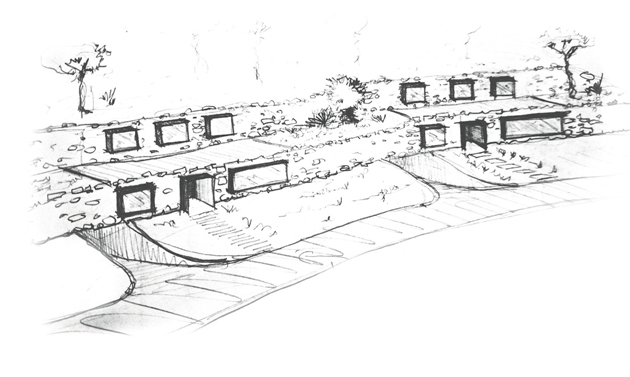 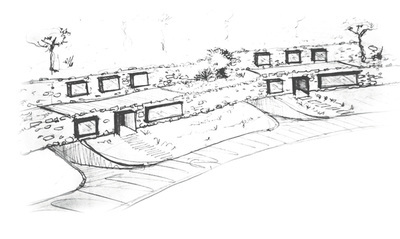 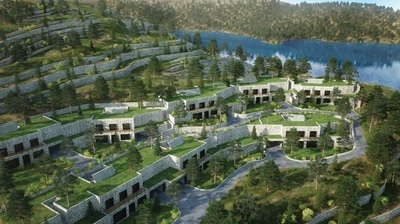 DESCRIPTION : Eight residential bio-climatic houses, located on a steep sloped terrain facing the north. The project focuses on the integration in the environment by burrying the houses, hiding them in the terrace farms of the hill. 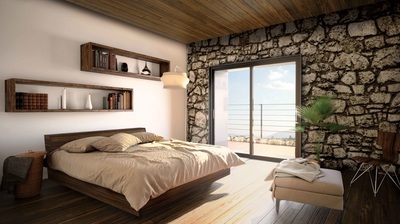 The project spans across 5,800 square meters of lush, green terraced hills. 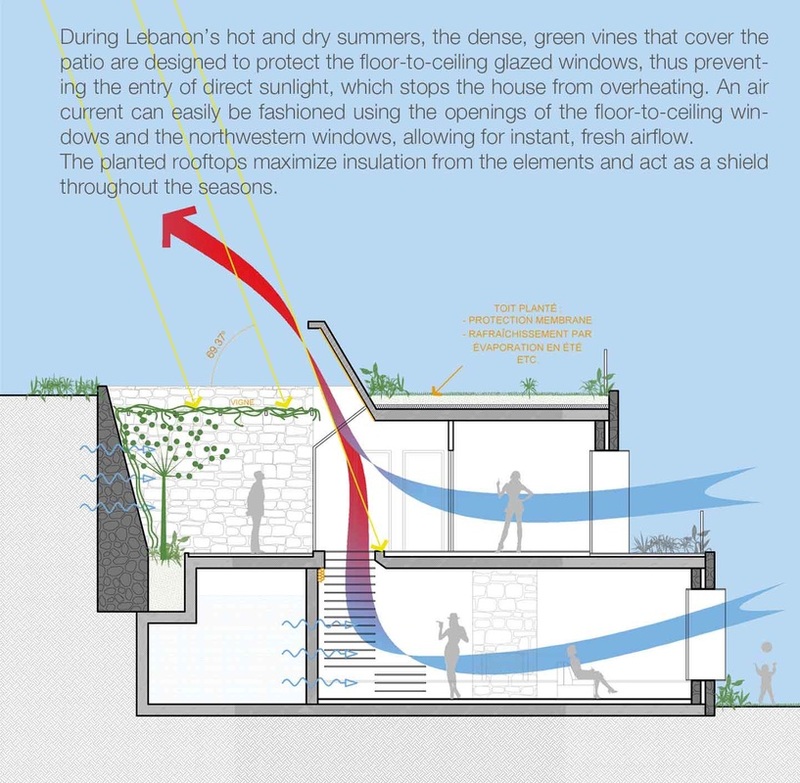 Inspired by the surrounding environ and troglodyte architecture, Rive Gauche is fully incorporated in the landscape with respect to the ground level, glass exteriors and planted roof surfaces running the length of the structure. 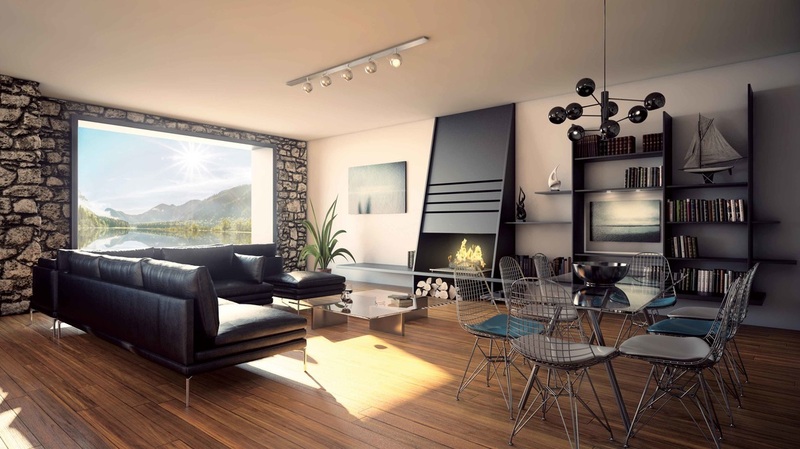 By following the sloping terraced landscape present on site and applying a minimalistic approach, the project guarantee utmost respect to the environment. This provides residents with a hands-on rural experience...atmosphere. 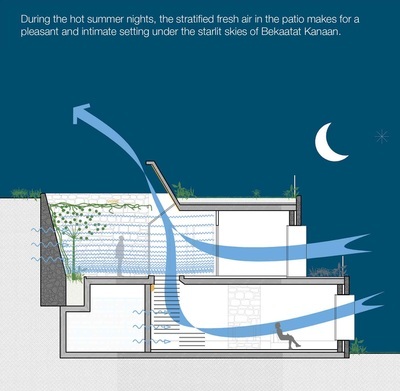 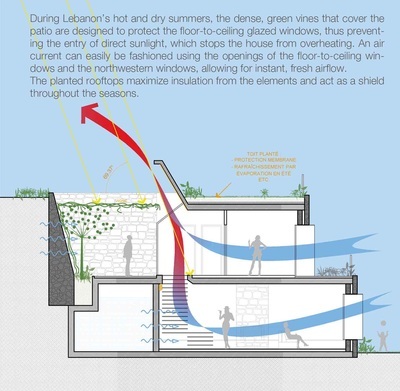 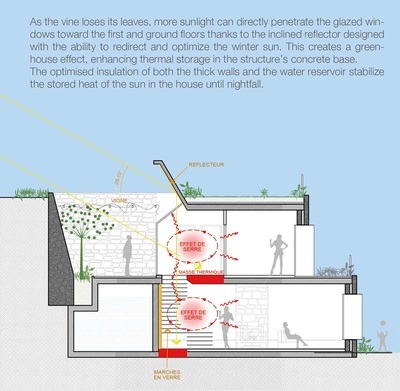 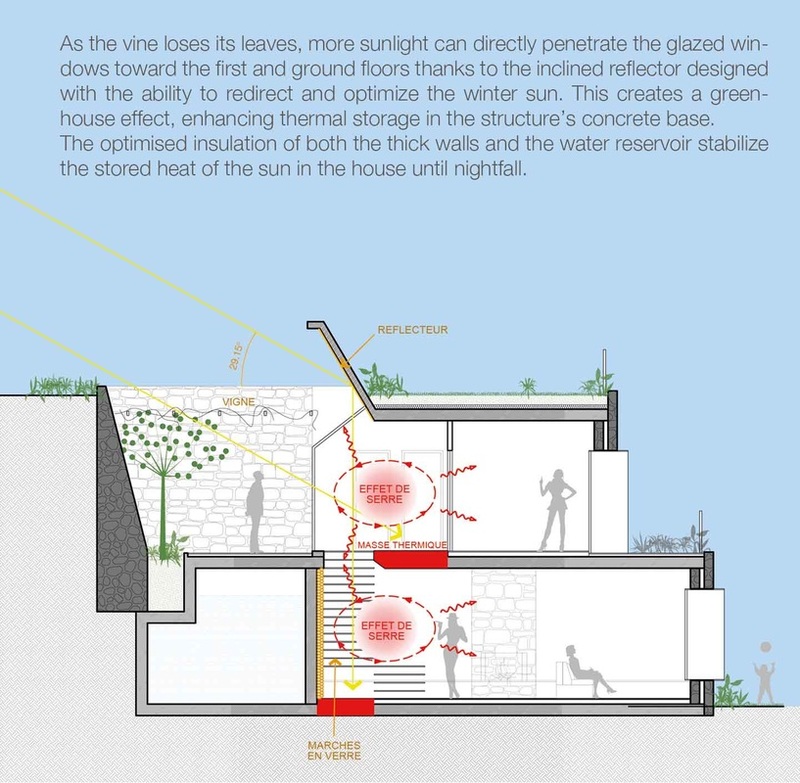 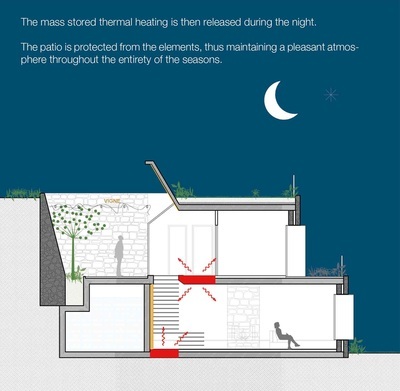 ​The use of bay windows to maximize sunlight in winter and air circulation during the warmer seasons, ensures passive sustainability in terms of controlling and conserving thermal mass, apt insulation and airflow, all the while offering a full view to the stunning valley of Nabaa el Jawze and the nearby lake. 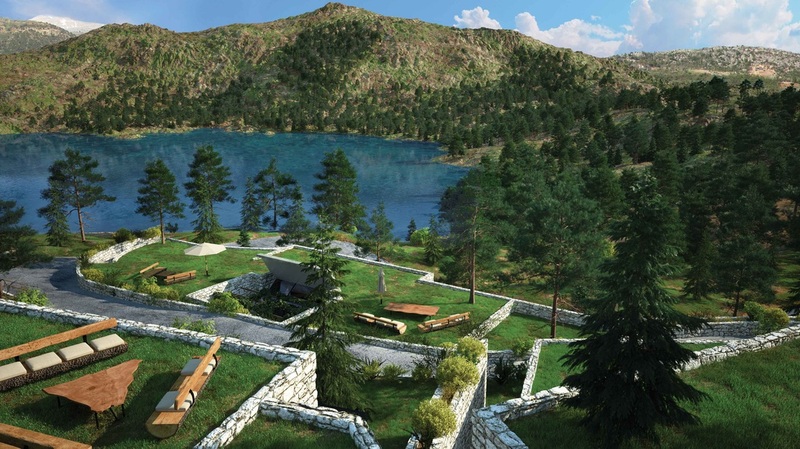 The project is situated at a distance of 50 meters from the lake, allowing residents to take up several outdoor activities including kayaking, lake fishing, diving, swimming and the underwater exploration of the submerged Church of St Antoine Le Grande. 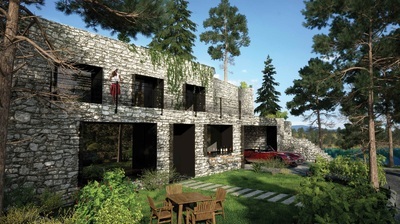 Each house is composed of two stories and provided with two parking spaces and a garden with an estimated area between 535 and 700 meters.